The past year has been eventful and, shall we say, filled with positive changes for the plus-size fashion industry. Most of these changes concern size-inclusivity when it comes to men’s and women’s clothing. Madewell and J.Crew just expanded their denim size range, and recently, Nordstrom announced their size-inclusive initiative for women. With the influx of brands finally expanding their size ranges, another brand is following suit: Reese Witherspoon‘s Draper James. Here’s what we know so far about the beautiful plus-size collection by Draper James. In a move that is aimed at promoting body positivity, Reese Witherspoon’s Draper James partners with online retail giant Eloquii, which has always been known as the go-to shopping destination for those sizes 14 to 28, to create a collection that more women can take advantage of. The result of the collaboration is a 30-piece collection of stunning pieces tailored for curvier women. It includes pencil skirts, belted shorts, and sundresses. 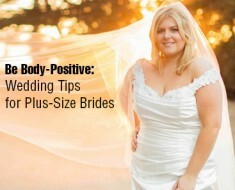 For plus-size women, finding the right fit poses a lot of challenges. So it is only worth talking about and celebrating every time a brand goes the extra mile to cater to their needs. Changes like this help women gain back the confidence social stigma rob them of and make them realize that beauty does not stop at a certain size.